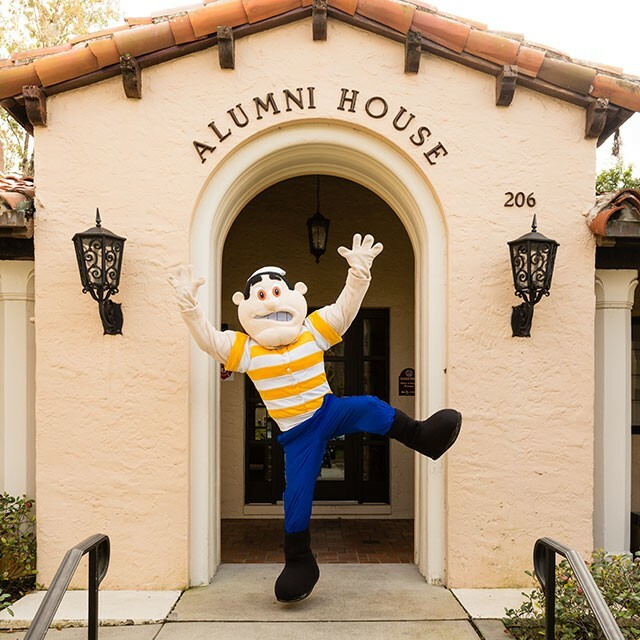 Somehow, despite the school’s landlocked locale, the Rollins College mascot is a burly sailor named Tommy the Tar. The school spins a tale about how the “tar” (slang for a super-tough and aggressive open-sea sailor) became the school mascot because Rollins, although not on the ocean, was used as a training ground for sailors back in World War I thanks to its location on the shores of Lake Virginia. Other people say it has something to do with a donkey named “Tar Baby,” donated by the college president, that used to live on campus and eat the nicely manicured grass all day. Either way, we find this odd Popeye-looking mascot totally endearing.